Ah, the questions every soon-to-be college graduate dreads. And of course, the ones asked by every well-meaning grandparent, aunt, professor, and friend. If you’d asked me one of these questions a year and a half ago, my answer would have been a shrug of the shoulders and a quick change of subject. Not even in my wildest dreams would I have said that I would be ranching in New Mexico. But lo and behold, a year and a half later here I am. I was sitting in my dorm room at Berea College in the fall of 2016, pouring over websites and grumbling into my wine-filled coffee mug about the nightmare that is job searching, when I came upon a listing for the Quivira Coalition’s New Agrarian Program. A part of me had always wanted to work on a cattle ranch out West (I mean, what little girl doesn’t want to grow up to be a cowgirl??) but I had never seriously considered it. I knew I didn’t want to go back home to West Virginia just yet, and a six month apprenticeship seemed like it might be just the adventure I longed for. 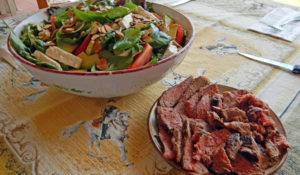 I skimmed the listing of farms and ranches on the NAP page and found the Ranney Ranch: A cow-calf and direct-market grassfed beef operation in the mesa country of central New Mexico. Hmmm, New Mexico. Never really thought about going there. All the songs and movies are about Texas, Wyoming, Montana. But, I liked the sound of the operation and the preferred start date lined up well with graduation, so I applied. Fast forward a few months and a couple interviews, and I was making plans for the cross country trip. Friends, family members and professors had mixed reviews of the decision. Some didn’t want me to leave West Virginia and the life I’d started to build there, others thought an apprenticeship wasn’t suited for someone with a Bachelor’s degree (i.e. I should get a “real job”). But many were in favor, and I can’t thank them enough for their support and encouragement. Many aspects of working on a ranch weren’t new to me. I’d grown up on a hobby farm/homestead in West Virginia, studied agriculture in college, and spent a few summers working on farms both at home and abroad. But I’d never spent time in an arid environment, nor had I worked on large scale watering systems. The remoteness of the ranch didn’t bother me too much, but it was hard for me to wrap my central Appalachian brain around the sheer size: 18,000 acres (which I’ve come to learn isn’t really all that big out here). Needless to say, I was a little intimidated. Hank the Cowdog (who’s actually afraid of cows) and I arrived in late May, naïve to the whirlwind that would be our next few months. Little did I know it would be one of the most amazing experiences of my life (scorpion houseguests notwithstanding). Not only did I learn a lot about living and working in agriculture in the southwest, I had the privilege to work with incredible mentors and become part of an amazing community. It’s hard to believe one can do so many different things in just six months. Some things built on knowledge and skills I already had, but others were a totally new experience. I accompanied Kirk Gadzia twice during the summer, which gave me a good introduction to rangeland health monitoring and plant identification. I helped Melvin on the ranch day to day: checking cows, monitoring the water system, and other general ranch tasks. He is a wealth of knowledge when it comes to ranching, as he comes from a ranching family and has spent the last 34 years managing Ranney. There’s no end to the work that needs to be done on a ranch, but also nothing better than the satisfaction you feel after a hard day’s work. 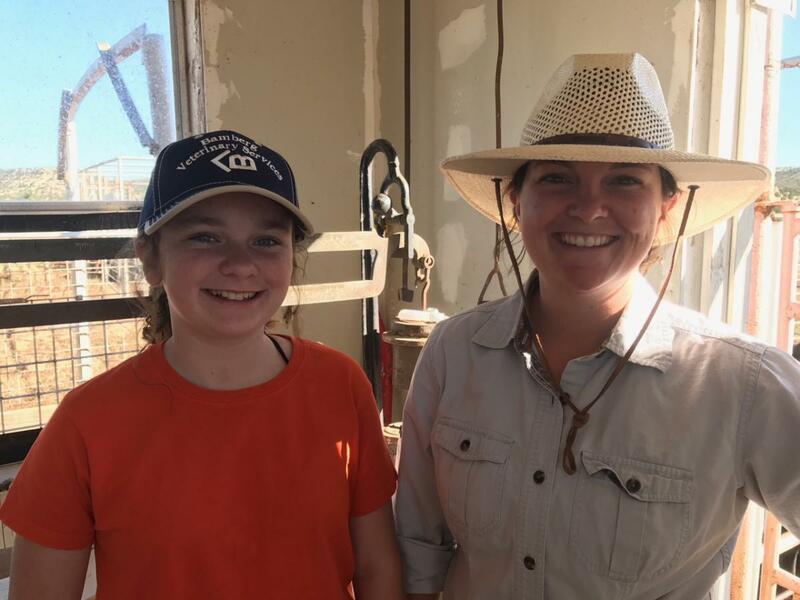 I learned how to work cattle horseback, practiced pulling and backing stock trailers, managed juniper encroachment, and improved my mechanical skills by assisting Melvin with various equipment repairs. I assisted with CSP data collection, and was able to be present during the auditing process for the Audubon Conservation Ranching certification. 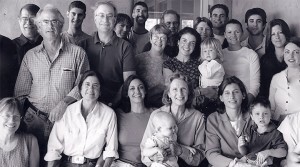 Nancy and I worked on marketing the grassfed program, launching a social media advertising campaign, exploring new avenues for sales in Albuquerque and Santa Fe, and hosting events on the ranch. 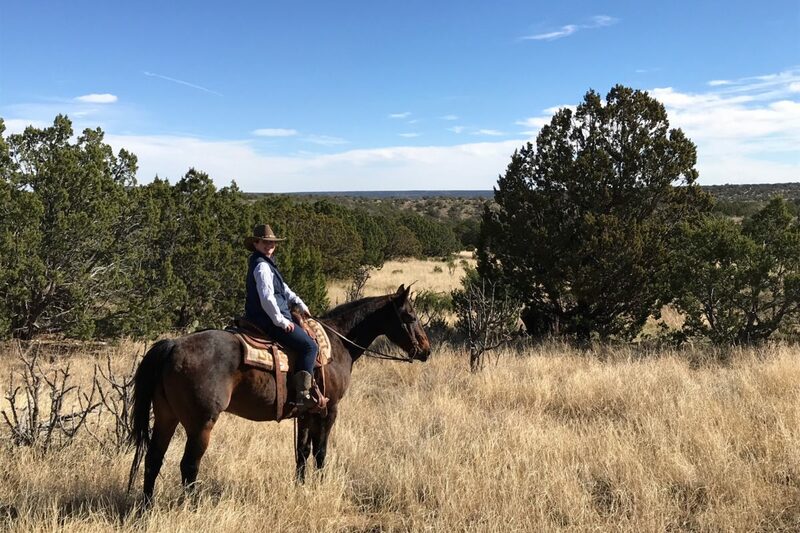 I had opportunities to visit other ranches in New Mexico and Colorado, and was able to attend several workshops and events over the course of the apprenticeship, further expanding my knowledge of cattle production and healthy land management. There were good days and not so good days (sitting on a cactus while fixing fence stands out), but in the end it’s all worth it, seeing your hard work pay off in growing calves, healthy land, and happy customers. Despite my early uncertainty, New Mexico and ranching have captured my heart and I’ve decided to stay out here a little while longer. I’ve moved up to Newkirk to work at the JT Land and Cattle company for a few months, before heading off on another adventure. I’m incredibly thankful for the experience at Ranney Ranch and I’m excited to see what the future has to hold! I found it interesting how you mentioned how remoteness of a ranch can be intimidating but peaceful at the same time. My wife and I are considering moving to a ranch so we can build our new home and have the wonderful scenery available to us everywhere we look. I will keep this in mind as we prepare to move to a ranch!